Look through upcoming events that Bail Hotline is associated with or sponsoring. 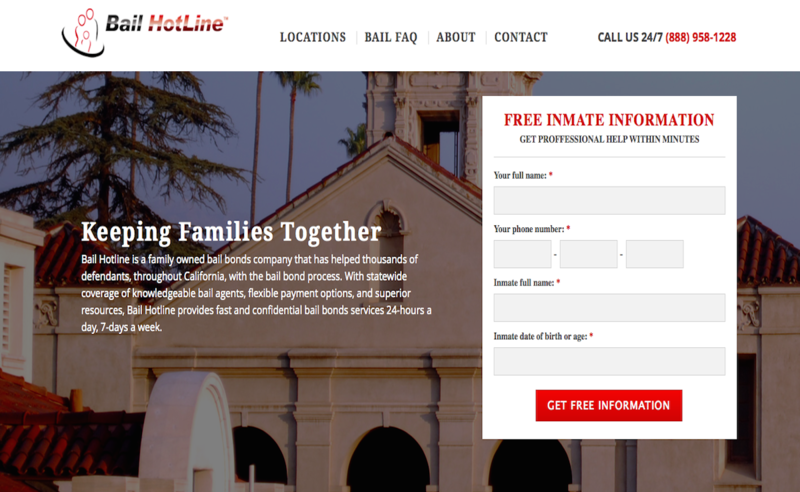 California’s rapidly-rising bail bonds company, Bail Hotline, announces its new website—the latest component in its robust service offering. Riverside, California, June 29, 2014 – Bail Hotline is the fastest growing bail bonds company in all of California, with a robust organizational structure that allows it to serve an ever-expanding population of clients—thousands of people and families every month. Already the company has 32 locations and more than 300 employees, plus an around-the-clock service line. Now, Bail Hotline has added another asset to this robust service structure—a newly launched website, which boasts a sleek and intuitive design and ample information for clients. The new site has been launched at www.mybailhotline.com. Ventura, Calif. (May 21, 2012)— Bail Hotline Bail Bonds, servicing clients throughout California with comprehensive bail bonds services and assistance, announced the opening of its newest office in Ventura, CA. The Ventura bail bonds office for the Bail Hotline team is located at 1730 Victoria Ave Suite 210 Ventura, CA, located in the Ralph’s shopping center. Marco McGuire will be managing the new Bail Hotline Ventura bail bonds location, which can be reached at (805) 654-5454. Santa Barbara, Calif. (May 15, 2012)— Bail Hotline Bail Bonds, servicing clients throughout California with comprehensive bail bonds services and assistance, announced the opening of its newest office in Santa Barbara, CA. The Santa Barbara bail bonds office for the Bail Hotline team is located in 1005 Santa Barbara St. in Santa Barbara, located less than a block from Santa Barbara City’s Police Department. Marco McGuire will be managing the new Bail Hotline Santa Barbara bail bonds location, which can be reached at (805) 965-9087.